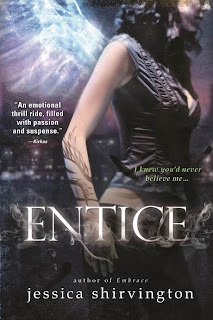 Good Choice Reading: ENTICE ME DAY: LIVE Chat with JESSICA SHIRVINGTON! ENTICE ME DAY: LIVE Chat with JESSICA SHIRVINGTON! I just wanted to take a second and give you all the heads up that tomorrow (Sept 15th) author Jessica Shirvington will be chatting live from 2:00 PM - 3:00 PM. She will be doing a live reading of her new release, ENTICE, plus answering some of your questions.